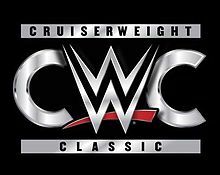 – The Cruiserweight Classic rolled on, as we saw in the opening video footage of how Zack Sabre Jr., Tony Nese, Drew Gulak and The Brian Kendrick all advanced to the Second Round last week. Previewed for this episode were appearances by the likes of Rich Swann and Jack Gallagher, with the “marquee” bout being the match between Johnny Gargano and Tommaso Ciampa, well-regarded as partners in NXT in line for a Tag Title shot, but opponents on this night. Tags: Corey Graves, Cruiserweight Classic, Daniel Bryan, Drew Gulak, Fabian Aichner, Gurv Sihra, Jack Gallagher, Jason Lee, Johnny Gargano, Mauro Ranallo, Noam Dar, Rich Swann, The Brian Kendrick, Tommaso Ciampa, Tony Nese, Zack Sabre Jr.